This chapter shares everyday moments of practice from the university classroom and the professional experience placement engaging with Place, undertaken by first year students in a Bachelor of Education program in Australia. The university classes and the professional experience placement have been designed to work in tandem as a way to engage with complex concepts. Kelly has become a mentor teacher in the Engaging with Place program. 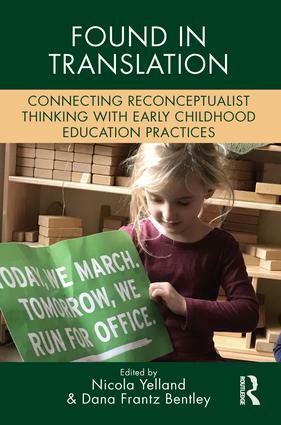 The chapter provides different perspectives to the shared commitment to embed Aboriginal perspectives in everyday teaching and learning practices in early childhood. In contrast, Aboriginal worldviews are non-linear and situated in relationships, not just exclusively with humans, but also include learning with/from place and more-than-human others, as important actors in knowledge processes. Engaging with place by foregrounding Aboriginal perspectives requires attending to the ethics and politics of living on land that was taken by force.